I think a lot of those studying Mandarin Chinese have sooner or later started to wonder how many characters one really needs in order to normally function in a Chinese-only world or what for instance the most frequent 500 Chinese characters are. 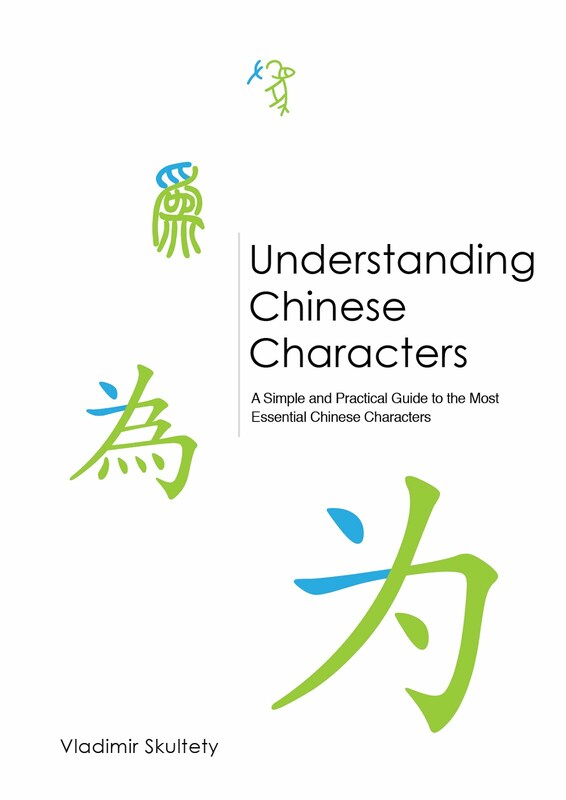 I personally have heard a lot of numbers and saw several Chinese character frequency lists, but often didn't understand why this or that character made it to the top 500 or why the list said I needed this or that number of characters to read something when I had the feeling the number was either overstated or understated so I decided to try to do a little study on my own. I tried to analyze how many characters and words are approximately necessary to read news in Mandarin. I chose four sections of Taiwanese news - politics, international, society and finance, all written in traditional Chinese characters during a 6 week sample period. If I'm correct, the field of computational linguistics deals with projects of this kind and I'm sure that there are several teams of experts at linguistic departments worldwide that must have done similar researches using much more sophisticated methods than I have and after the amount of effort it took me to analyze these few articles, I have a lot of respect for what they do. I just tried to do a little research on my own and one point where I think I might have achieved a slightly better research result compared to research done with more sophisticated computer programs is in the the analysis of Mandarin word frequency because I did the analysis manually. This however leaves my study with a higher error margin. In this post I will present the results of the Mandarin character frequency analysis, in the posts to follow I will talk about the Mandarin word frequency analysis. I analyzed 80 articles in 4 sections (politics, international, society and finance), 20 articles per section which is a very very small amount of data any way you look at it, but some interesting things came out of the analysis anyway. One of the obvious problems with sampling such a small amount of data over a short period of time is, that there are a lot of 'seasonal' characters and expressions appearing in it. In the case of this small study these were expressions based around the elections in Taiwan, Greece, the Chinese New Year, European debt crisis and the Makiyo case. In my opinion, sampling characters over a very long period of time also has its flaws, because if for instance someone would like to know the approximate amount of characters necessary to read the news in Mandarin in Taiwan and in order to do that he would sample a very large amount of news articles over the course of one year instead of 6 weeks as was my case, then of course the number of unique characters occurring in those articles would be much higher than in the case of my study, simply because of the fact, that the probability of rare characters appearing over a longer period of time is much higher. That in my opinion doesn't mean that the study is more accurate in telling you how many characters you need to approximately know, but it does make it more complete. In the case of my little study I simply tried to map out the number of unique characters, words and their frequency in the news in Taiwan in 4 sections over the course of 6 weeks. To analyze character frequency was relatively easy, to analyze word frequency was much more difficult. To analyze character frequency and the total amount of unique characters present in the 80 articles, I asked my good friend (many thanks to Martin again) to write a computer program which basically did the work for me. All I had to do was input any amount of text in any format into a text file, run the program which produced a list of unique characters from the most frequent to the least frequent one with a count of unique characters at the end of the file. To analyze word frequency took a lot more effort and time. As most of those learning Mandarin know, words are not separated by spaces in Mandarin so I had to manually do that. In addition, some constructions like 在..內 which have other characters in between them had to be manually rewritten as 在內 in order to be counted as separate words. I think this is the second most questionable part of my little research (first being the small amount of research data), because I decided by feel and my Taiwanese friends' suggestions what should and what should not be considered as a separate word. Also, while analyzing character frequency, there was practically no margin for error as the computer program did everything for me. While manually separating the words however, I had to add a 5% error margin simply because as I was gradually working myself through the articles I changed my approach several times in what I did and what I did not consider as a separate word and even though I edited input data over and over again to even out these changes, I might have overlooked something. As for the technical part, what I did was, that I put all 80 articles into MS Word, manually move each word or construction onto a new line and then ran my friends program on the file. After having 8 frequency files (4 character frequency files + 4 word frequency files) I transferred them to OpenOffice Calc and started doing some statistics. This is the data table containing the most important information about the total number of sampled characters and the number of unique characters per section in the 80 analyzed articles as a whole. To my surprise there were only 2105 unique characters found in the 80 articles I analyzed. The amount of the data I sampled was very small. Direct speech is rarely used in news articles, it appears only in the form of citations so as I will later show, characters typical for dialogues 我, 你, 去 or 回 for instance are nowhere close the top 100 (我 - 183rd, 你 - 982nd, 去 - 204th, 回 - 238th) and a lot of them didn't even make it to the entire list. In my opinion, Mandarin used in the news is really very different from Mandarin used in books for instance so a lot of these characters didn't make it into the list either. Books again contain completely different expressions and sentence patterns, a lot of direct speech and therefore would have a different character count with a lot of characters that would not overlap with characters used in news. As can be seen from the table a higher total number of characters per section does not necessarily mean a higher amount of unique characters in that section. The total amount of characters in the financial section 財經 is by 20% higher than the total amount of characters in the international 國際 section, but the number of unique characters in 財經 is 4% lower than it is in the 國際 section. The reason for this is that in the financial section a lot of the same expressions were used in a lot of articles over and over again (loan, debt, stock, growth ect.) whereas the international section, most of the articles were different, talking about different countries and people, with a lot of unique personal and country names appearing in them. This chart is a visual representation of the ratio between the number of unique characters you know and the percentage of characters you should recognize in the 80 articles. As can be seen from this chart, by knowing the first 50% of the unique characters, you should be able to recognize about 93% of all the characters in the 80 articles I analyzed. In this table I stated the number of characters appearing only once, twice or three times (characters that are rare) in the texts I sampled and the percentage that they constitute out of all the unique characters. 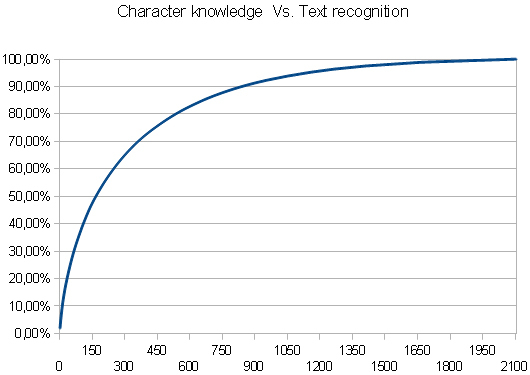 This table and the previous graph show the obvious, which is that even if a reader can recognize 93% of all the characters in these 80 articles, if he were to come across a character from the remaining 7% of the chart (which he will), it is highly probable that he will not recognize it even if he knows some random characters from the 'rare' 7% section of the graph. Another obvious conclusion is that to learn how to understand the remaining 7% of the characters found in the texts will take the reader the same amount of effort as learning the first 93%. Or maybe another way to look at it is that by learning the remaining 50% of all the unique characters found in the texts, one will only increase his understanding abilities by 7%. For reference, I also stated those characters that that have a very high frequency of appearance compared to other characters. As you can see, there are only 15 characters that appeared more than 200 times and only 68 characters that appeared more than 100 times in the texts I sampled. Again for reference, I'm posting the list of the first 80 characters appearing in the articles I sampled, starting with the most frequent one. As I mentioned earlier, my small research was influenced by a lot of seasonal characters, but this table shows pretty nice results. As I mentioned earlier, typical direct speech characters like 我, 你, 去, 回, 來 ect. are nowhere to be seen. Also, another thing that I will try to talk about a little more in the Word frequency analysis section is, that knowing for instance the first 90% of all the unique characters really is not the same thing as being able to understand 90% of the information in the text. Chinese characters are representing morphemes rather than words and even though there are a lot of Chinese words that consist only of one character (or one morpheme only if you like), the majority of them consist of 2 characters. Doing a character frequency analysis is therefore the same thing as doing a morpheme frequency analysis. A way to look at it is that if a person would do the same frequency study as I did by sampling 80 English news articles, there might be an entry saying that the English morpheme tele appeared 220 times in the 80 sampled English articles. It does say a lot about the frequency of appearance of this morpheme, but nothing about the words it has appeared in (i.e: telephone, telegraph, television, teleport ect.). You can download the full character frequency list in the download section of this blog. End of Part I. To be continued in Part II - Word frequency analysis. It's pity this wasn't part of a master's thesis or some other similar type project. I'm sure there are a lot of people out there who have done this sort of research many times before using more sophisticated methods. It was a lot of fun to do though. amazing stuff my friend. Great sense for detail and considering it to be a lot of fun - and I believe that you really enjoyed it - is wonderful. How are you doing anyway? 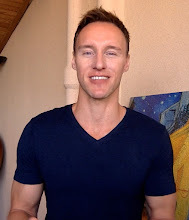 Looking forward to reading your next posts! I have the Words frequency post almost finished, I will post it later next week. I don't know about the HSK tests, but the official Chinese language tests here in Taiwan called Test of proficiency Chinese do use word lists instead of character lists. Are you studying Chinese as well? grazie mille per i complimenti. Se vuoi, possiamo metterci in contatto e fare qualche tipo di schambio linguistico. Mi piacerebbe molto imparare il Giapponese uno di questi giorni, ma purtroppo non so come e dove cominciare. actually a few days ago I was thinking that I have to learn an African language one day:) I don't know when this will happen since I am constantly doing other things that I should be doing, but I have a plan now:) I am ashamed to admit this but I know very little about Africa, its history, culture and languages and I really hope I can change this one day. If this is not good, let me know and I can send you the word list that I came up with while doing my analysis. Interesting articles. You ended up making a little six week corpus! Research has shown that when dealing with language, bigger is always better. More data collected over a longer period ends up rounding out issues like words for New Years and elections being more common. Sure, you end up with more characters to analyze, but at the end of the day, you end up with a more accurate picture of the language which you can use for understanding which characters (or words) Chinese learners should study. If you ever need any tools for helping with future analysis, let me know. I have a bunch of them, and I'd be glad to help out wherever I can. I agree that if you have more data, you pretty much solve your 'seasonal' character problem. I am no expert, so these are only my wild guesses and unprofessional reasoning, but at least when it comes to the scope of the data, I would disagree that more is always better. I would agree that it would be better from a purely statistical point of view, but less so from a linguistic point of view and even less so from a student’s point of view. For instance, you could include Classical Chinese texts for a more complete analysis, but this way you would only simply bulk up your sample data by adding a new field to it. You would come up with a more accurate mathematical frequency list, but it would not mean that it would be more useful for a linguist or a student. It would only give you a much better overview about which characters are used and how often they are used in a huge variety of texts in absolute measures, but it would also mess up the character frequency order to an extent at which it would not be useful to students anymore. 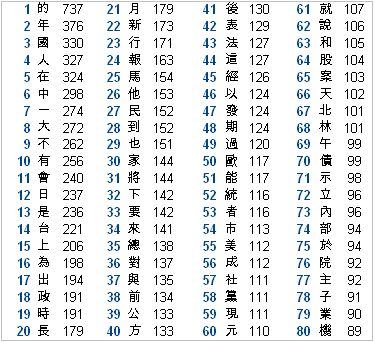 For example, in a frequency list, that I found online, the character 刊 - which in my opinion (empirically) is a relatively unimportant character, was on the 535th position. Not that it is unimportant, but it is far less important then say 站,空,報,保,錄,維,永,納,演,山,遇,缺,制,勢,千,照 - characters that were found starting on the position 535 and lower in a study that I did on manually selected and edited Interview articles. I'm guessing that the reason for this is, that a lot of newspapers have刊 in their name and thus this character can be found either at the beginning or at the end of a lot of news articles (as in for instance 周杰倫商業週刊報導) and thus if you sample say 50000 news articles, this character will have a high frequency rate. But for a beginner student (500 characters – beginner), 刊 is an unimportant character. This is only one example out of may others and so I think that a more bulky absolute frequency list is not something that would make a lot of sense to a beginner/intermediate student of Chinese and he or she would not find great use of it. What I want to say I guess is, that more is not always better and that the quantity of the input material is not as important as is its quality. How do you go about analyzing word frequency in Chinese texts? Do you compare your words to a word database, or do you set up word individuating algorithms? I did my analysis manually and it was terribly exhausting… and while I was doing it I kept wondering how the pros were doing it:) I’d guess that big linguistic departments have their own huge elaborate word databases that they compare sampled texts to and as soon as the program that they run to sample the data matches a part of the text with the database, it counts it as one unit. But it’s only my guess. Mi chiamo Konstantinos, e sono greco. Scusa per una scelto come lingua da presentarmi l' italiano, ma e' la lingua che parlo meglio, coime lingua straniera. Trovo interessantissimi le tue lezioni di scrittura, che riguardano il cinese. Mi piacerebbe sapere se hai un profilo su FACEBOOK. Lo vedo piu' diretto come modo di comunicazione....Se si, mi protresti dare il link del tuo profilo, per chiederti amicizia ? Grazie !!! Fin adesso ci hai fatto mostrare piu' di 60 caratteri diversi... ma ci hai detto che almeno tu hai indificato piu' di 2000 !!! Ma ci farai piano piano caricare tutti i video che riguardano il resto dei caratteri trovati ??? Veramente hai fatto un bellissimo lavoro di ricerca !!! Ti do' i miei complimenti !!!! Ti auguro Felice e Sereno anno nuovo ! Ti ringrazio molto per le belle parole ed anch'io ti auguro un felice anno nuovo. Ho un profilo su facebook, ma se possibile preferirei usare skype. Se mi mandi una e-mail, con il tuo skype name, ti posso agiungere. perfetto Vladimir, Ti do il mio skype. Mi potresti scrivere la tua mail personale, cmq io ho fatto richiesta per frequentare il tuo blog, tramite la mia mail !